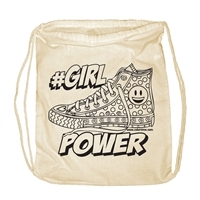 With fun and empowering slogans, you can be sure that these ready-to-color kids backpacks will be a hit at just about any girls slumber party. They're great fun to make and can last for years! 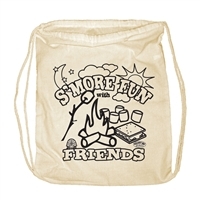 Our 100% cotton muslin backpacks are ideal to take on a camping adventure, a field trip, or an overnight stay at a friend’s house. Children (boys and girls) will have fun decorating these personalized backpacks in almost any setting, whether it’s at a girls slumber party, a summer camp, an after-school program, or a birthday party. Color the backpacks with Colortime's permanent fabric markers!